MDC leader Morgan Tsvangirai will next week hold crisis meetings of his party’s top organs in a bid crush dissent and re-energise the movement that appears to be running out of steam ahead of crucial polls. 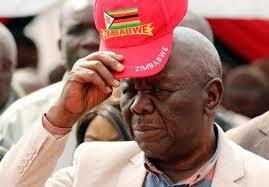 Tsvangirai, who has been in the opposition trenches for nearly two decades, is expected to read the riot act to those stirring up mayhem in the MDC when the national standing committee, the national executive and the national council hold their separate meetings in the capital next week. While he may not mention them by name, his vitriol would be directed at his long-time deputy, Thokozani Khupe, whose revulsion for the MDC Alliance formed in August last year is creating political ripples in the southern part of the country. Khupe has been on record saying the MDC does not need an alliance to win an election in the three Matabeleland provinces, sentiments that have made her a force to reckon with among like-minded party faithful who include influential figures such as Lovemore Moyo (the party’s national chairperson) and Abednico Bhebhe, its national organising secretary. A faction loyal to Khupe has angered Tsvangirai even more by pushing for a special congress aimed at retiring the MDC leader on health grounds. Tsvangirai is therefore seen using the meetings to assert his authority and crush dissent, although he may not put his opponents under the guillotine for fear of weakening the MDC ahead of crucial polls. The former trade unionist who rose to prominence as secretary-general of the Zimbabwe Congress of Trade Unions before assuming leadership of the MDC in 1999, first went public about his health status in 2016, revealing he had been diagnosed with cancer of the colon. Ever since, he has been in and out of the country, seeking treatment. His occasional medical sojourns have aroused succession wars in the MDC, which Tsvangirai thought had been over and done with when he severed ties with rebels led by Tendai Biti, his former secretary-general in 2014 following an emotive debate over the party’s embarrassing loss in the 2013 elections. The departure of long ruling Zanu PF leader, Robert Mugabe in November last year has brought more misery for Tsvangirai than happiness. It has presented Tsvangirai’s internal enemies with new talking points as they are now calling on him to emulate Mugabe by stepping aside to allow for leadership renewal in his party. MDC secretary-general Douglas Mwonzora confirmed the meetings on Monday. He told the Daily News that the meetings will discuss party programmes for the current year and receive a report from the party’s negotiator in the MDC Alliance on how the project has progressed. “The meetings will also receive a report on the allocation of seats in the alliance and the report will then be debated otherwise there won’t be any discussion around whether there should be an alliance or not because that was settled by the national council a long time ago,” he said. While Mwonzora downplayed the possibility of clashes at the meetings, a national executive member privy to the twists and turns in the MDC said the indabas would be explosive because Tsvangirai was desperate to get his charges to sing from the same hymn sheet. “It is clear to all in the party that there are people who have grown too big for their shoes and are working against the president and they need to be cut to their real sizes before the president launches his campaign around mid-month,” said an MDC insider. Tsvangirai’s bid for presidency of the country has since the formation of the MDC in 1999 been hit by divisive power struggles in his party that dampened spirits of those who had seen it as an alternative to Zanu PF.